Nightmares from the Deep 2: The Siren’s Call picks up not long after the events of the first game. Sarah Black has returned to her museum and she carries with her some rather hard to believe stories about pirates, curses, and Davy Jones himself. But a quiet night at the museum is quickly interrupted when a mysterious person shows up with a special package that, when opened, thrusts Sarah Black yet again into another conflict with cursed pirates. The Siren’s Call presents another mystery for Sarah Black to solve, continues to build on an overarching plot surrounding Davy Jones, and – most importantly – makes some additions to improve upon an established hidden object formula. While Enigmatis suffered from pacing issues, The Siren’s Call follows a general outline setup by the original Nightmares from the Deep that works far better. In short, Sarah Black is quickly brisked away to solve some sort of mystery, throughout the game she’ll slowly uncover information about the villain’s backstory, and eventually piece together enough clues to visualize the full narrative. It’s specifically the way in which the main villain’s backstory is laid out, with a little piece given every time a special coin is found, that works really well. Small chunks of information are given at a pretty steady pace and help to explain various character motivations, how the specific conflict happened, and what could be done to stop it. It works well and feels like a full narrative, while clearly giving small bits of detail hinting at a larger conflict with Davy Jones. The Siren’s Call follows the formula I’ve grown used to having played a few Artifex Mundi games already. There’s hidden object scenes, various context specific puzzles, a simple inventory system, a decent amount of backtracking, and a handy journal to keep specific objectives and clues available at any time. One concern I started to have about these Artifex Mundi games, after playing Enigmatis, was simply that the games might start feeling a bit stale. There are, after all, only so many hidden object puzzles you can do before growing a bit tired of them. Thankfully, The Siren’s Call offers some much needed changes to keep things pretty interesting. There’s still a good amount of hidden object scenes, but now the game also introduces multi-step hidden object puzzles that require finding an object and then using it to open up a new part of the scene. For instance, the game might require that a special key be used to open up a desk, that would then have more things to find hidden within. It’s a small change, but I appreciated seeing the game make an attempt to change things up. There’s also the option to trade out hidden object scenes for a Mahjong puzzle or vice versa, if either of these reoccurring puzzles are getting a bit old. Hidden object and Mahjong aside, though, the puzzles here are still generally well done and interesting throughout. The variety of puzzles (outside of hidden object scenes) continue to be a strong point for these games. Another change is the addition of a fast travel kind of system. 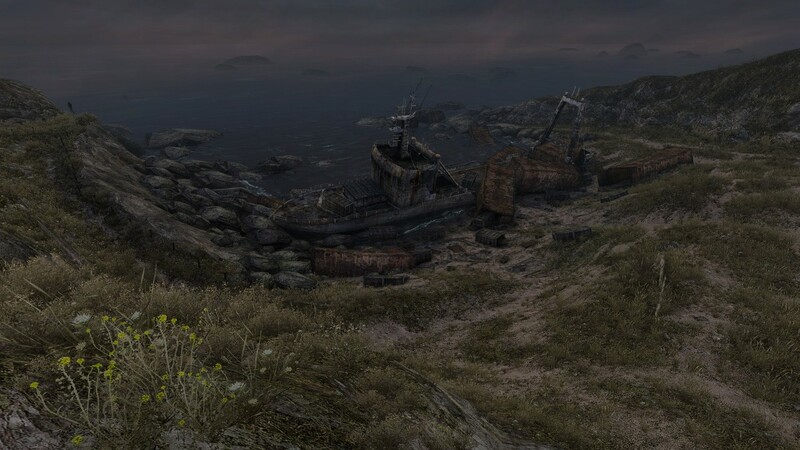 Past games contained plenty of backtracking and, while it hardly ever took very long to do, this often involved backing through a dozen or so scenes to get to the other side of the map. The Siren’s Call allows you to simply choose a destination and warp there immediately, no matter where you’re currently located. Again, this is a small change that saves a small amount of time, but it’s really nice to have and shows a general refinement in design between games. 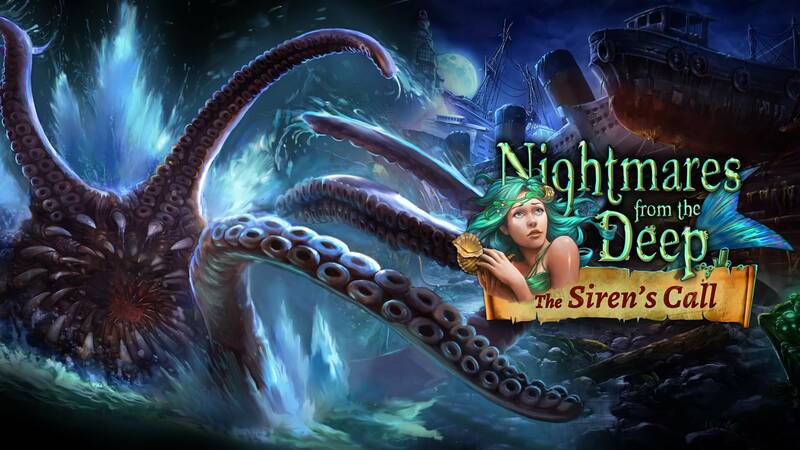 Nightmares from the Deep 2: The Siren’s Call builds off of what made the original great and, potentially at least, lays the groundwork for what could be a great finale with Davy Jones. A slight change to some hidden object puzzles and a fast travel system show that Artifex Mundi are continuing to refine their formula, and I hope it’s a sign that there are more new additions on the horizon.